This New York Times headline and article opened my eyes – although not in the way I expected. The article woke me up to my sloppy thinking on intellectual laziness. Yes, it’s ironic. 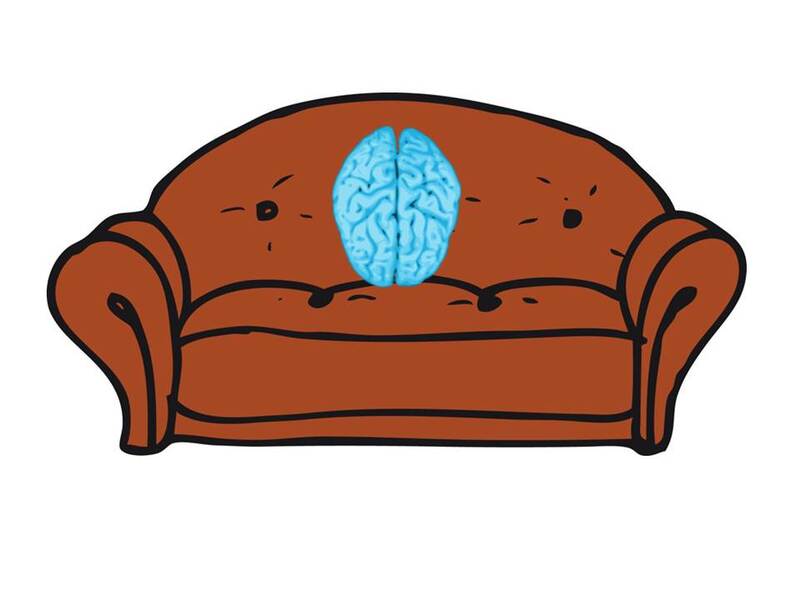 Even though I’ve studied the subject of intellectual laziness, I hadn’t connected the dots between how our human “couch potato” state may dramatically affect the way we consume and interpret information. When you’re on a couch watching TV, searching online, or reading, you’re paying attention, right? Not necessarily. You may be glancing at the screens or scanning pages and headlines without carefully focusing on the content. When you’re skimming the surface, you limit the energy you expend to dive deeply to absorb and analyze what you’re seeing and hearing. That can have major implications for what you believe and how you act. “If there’s a way to avoid exerting effort, we almost always do,” according to UCLA social psychology professor Dr. Matthew Lieberman, who characterizes the human brain as a “mental couch potato.” We’re wired for inertia so we can preserve our energy—mental and physical—to be able to fight or feel if we’re faced with danger. You yourself have probably experienced this inertia when you’re trying to change your behavior, such as exercise more, eat healthier or get more sleep. It’s hard to make the changes and stick with them. And if you’ve tried to influence someone at work to change the way they do something – such as make meetings more interactive, tell more compelling stories, or listen better, you’ve probably encountered this inertia too. That’s why when you want to act in a different way or help someone else change their behavior, you’re more likely to succeed if you break down the actions into tiny steps and keep them as easy as possible. This also applies to giving directions to others, including making calls to action. The clearer, simpler and effortless, the better the follow-through. And if you really want others to commit to change, ask lots of open-ended questions and get them actively involved. That gets them thinking, which improves their ability to generate their own ah-ha’s, which changes their brain and motivates them to do things differently. Now what if you want to change your beliefs on a topic instead of or in addition to your actions? We’re back to the heart of the challenge of being mental couch potatoes – getting ourselves to use our head to think analytically rather than trust our gut. Here’s where the psychologists and authors of the New York Times article, Dr. Gordon Pennycook and Dr. David Rand provide some illumination, based on their recent studies and an analysis of how people react to misinformation. They found that people who engaged in more reflective reasoning (that is, making the time and taking the effort to exercise their analytic skills) were better at telling true from false, even when reading articles that were opposite of their established beliefs, including political points of view. In other words, when you’re mentally lazy, you run the risk of getting tricked into thinking falsehoods are true, accepting propaganda as accurate information, and making inaccurate assumptions. For example, until I read this article, I had full-heartedly accepted the findings of the second camp of researchers who also are studying why people are so susceptible to believing and spreading misinformation. It didn’t even cross my mind that intellectual laziness was a likely contributing factor too, even though I’m more knowledgeable about it. When presented with information that is opposed to what we believe, we tend to make rationalizations and often double down on our already established points of view. As research continues on the overall problem of misinformation, it’s likely that we’ll recognize that both camps, mental laziness and rationalization, contribute to it. Different situations may make us more susceptible to one than the other. And that will help us create ways to address the problem more effectively. For myself, the research and article by Dr. Pennycook and Dr. Rand have made me realize that we can’t take it for granted that anyone pays enough attention and thinks analytically and critically enough all the time for our VUCA (volatile, uncertain, complex and ambiguous) world. The challenge is not just our intellectual laziness. It’s also the high volume of information we’re exposed to now and also need to seek out to ensure we’re being thorough. And face it, the stuff that grabs our attention may not be the content we need to consume for doing our job well. How do we manage when the road to good intentions is paved with hell and inertia? These five actions can help, especially before you make important decisions. Set time aside when you’re at your sharpest to read important documents, manuscripts and other critical materials. Discuss what you read with others, including asking questions. Quiz yourself and others to see if you can recall key findings and know the difference between fact and fiction. Reflect on what you’ve learned and what you need to do. While useful, these actions aren’t foolproof – as I just experienced. So here’s to more exercising of my brain to reduce my mental couch potato state. Will you join me?